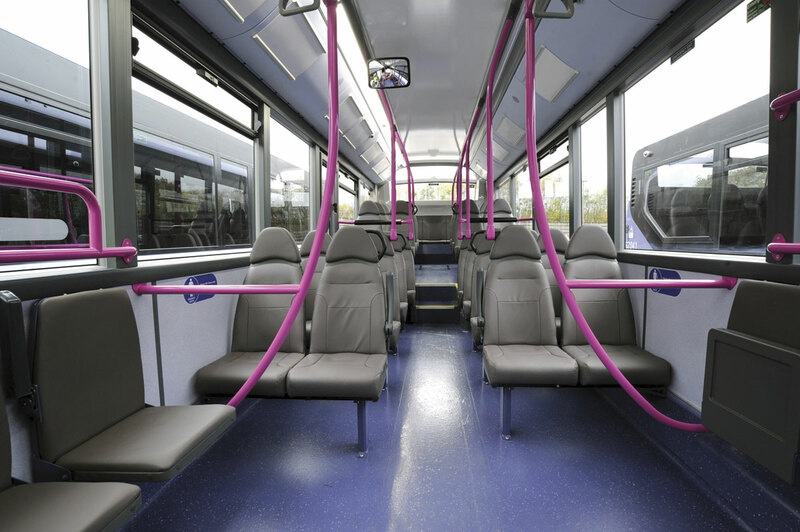 First Glasgow has purchased 32 Euro6 ADL Enviro200s for its services in Lanarkshire. They form part of a total order of 75 new vehicles, which are being introduced across Greater Glasgow after the operator announced it was investing £14m in upgrading its fleet earlier this year. The new vehicles have leather seats, CCTV, Wi-Fi and dedicated space for wheelchairs and pushchairs. They have already been delivered to depots in Blantyre and Overton and they are to operate on Service 226 (serving Hillhouse, Hamilton Town Centre and Fairhill) and Service 240 (serving Carluke, Pather, Overtown, Motherwell and Glasgow). This latest round of funding for Lanarkshire is in addition to the £5m investment in 31 new buses last year.